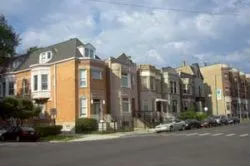 Lakeview is a north side community of Chicago made up of a cluster of diverse neighborhoods with a youthful atmosphere. From its beginning as a settlement for local Indian tribes to its development into one of the most eclectic communities in Chicago, Lakeview attracts a variety of residents to its blocks. It was originally settled by farming families from Switzerland, Germany, Luxembourg and Sweden. Lakeview became an independent township around 1857, and was annexed into Chicago in 1889 as a result of the burgeoning population’s need for more public service access. 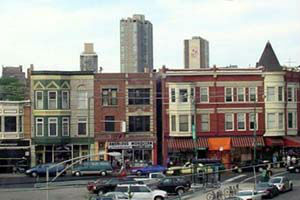 Lakeview can be divided into four smaller neighborhoods – Lakeview, Lakeview East, West Lakeview and Wrigleyville. Lakeview East has a great mix of high rise condos offering wonderful lake views and gracious, vintage low and mid rise condos. This neighborhood hosts the city’s annual Gay Pride Parade. Many national retailers and grocers have moved into the district to provide residents with more convenient access to shopping, dining and other services. Lake View East is also dotted with historic churches including Lake View Presbyterian Church, Saint Peter’s Episcopal Church and Our Lady of Mount Carmel Church, which is the residence of an Episcopal vicar and auxiliary bishop of the Roman Catholic Archdiocese of Chicago. The Southport Corridor is another enclave of the Lakeview community that attracts many young people who take advantage of the various entertainment and nightlife opportunities. One such attraction is the historic Music Box Theatre, which has been premiering the best of independent and foreign films for decades. Wrigleyville is the home of Wrigley Field, home field for the Chicago Cubs baseball team. Many shops, restaurants and pubs are scattered around the stadium so baseball fans can get together after the game and discuss the day’s best (and worst) plays. Notable landmarks in Lake View include Park Place Tower, which is the largest residential building on the north side of Chicago, the Totem Pole of Kwanusila, the Thunderbird of the Kwagu Amerindian tribe, and the John Merlo Branch of the Chicago Public Library. This vibrant community also plays host to several annual events and activities. The route of the Bank of America Chicago Marathon crosses through Lakeview, and many spectators pack the streets during the race to cheer on the runners as they pass by. 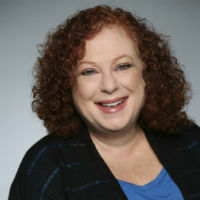 Other events such as the “How Lakeview Looks” fashion show, art gallery tours, art festivals and the North Halsted Street Fair celebrate the neighborhood’s rich diversity.